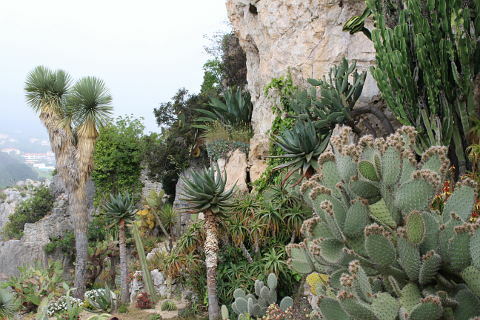 The Jardin Exotique d'Eze is a wonderful exotic garden in an absolutely stunning location overlooking the Provencal hill village of Eze which is one of the prettiest in France, and the beautiful Cote d'Azur. Hard to picture a better spot for a garden! 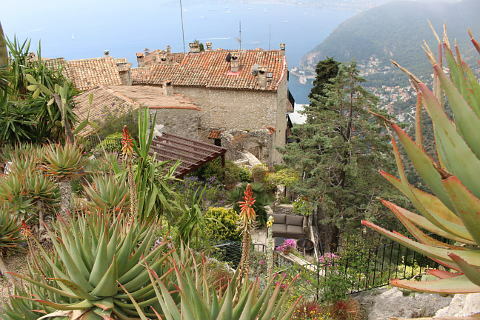 The Exotic garden of Eze has been planted on the site of an ancient fortress 429 meters above sea level. 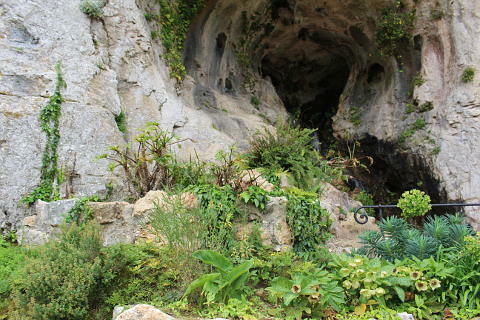 It was developed after the second world war by the mayor of Eze, Andre Gianton with the help of Jean Gastaud who created the Exotic Garden of Monaco just a few kilometers away. 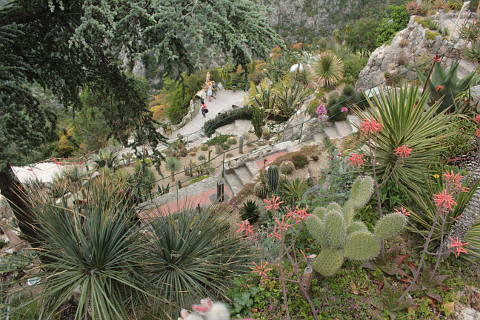 Its position at the top of a steep village meant that soil and rocks had to be carried up manually to create the garden and its terraces and then the cacti and succulents had to be carried up too! 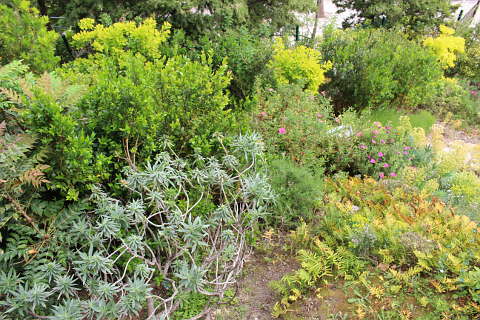 The plants ranged from young plants to mature old specimens including a crown of thorns weighing in at half a tonne. 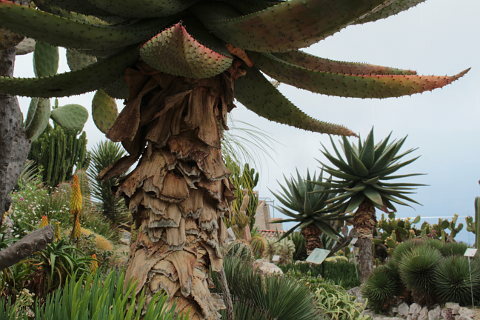 The south side of the garden is devoted to cacti, succulents and xerophytes whilst the north side has more mediterranean species. 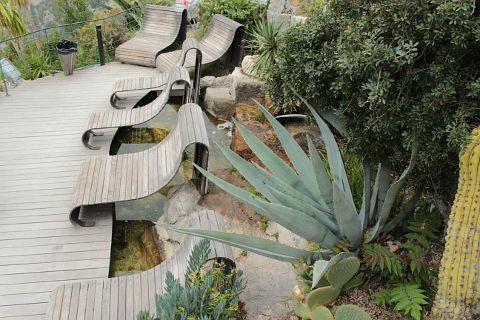 The garden has also been extended recently with a waterfall and pond and a few loungers so that you can stop and experience a moment of relative cool freshness! 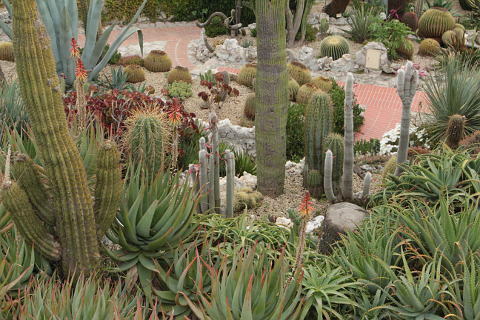 Whilst wandering the paths you will see agaves, aloes, euphorbia, agapanthes, cereus, grusonii and lots lots more. 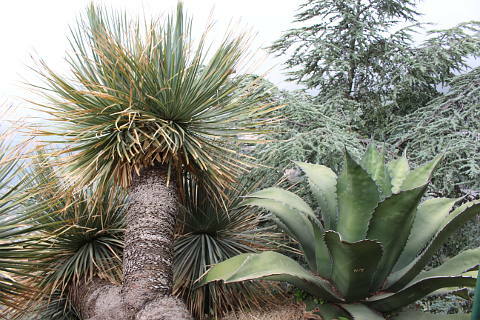 Many plants are huge here in the garden but you may recognise well keep smaller versions as house plants back home. It is amazing to see how big some of these "house plants" grow. 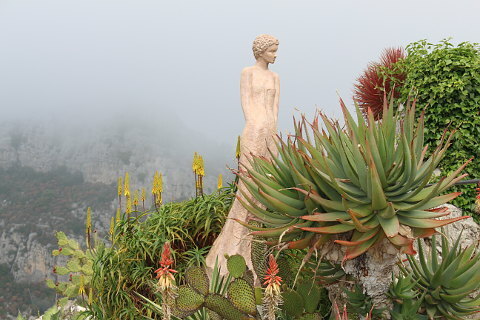 Adding to the charm of the garden are a number of statues by Jean-Phillipe Richard. His female figures are made of clay or bronze in the garden and their simple forms add character to many of the vistas of the garden. The sea views over the beautiful Cote d'Azur coastline is another incredible advantage of the garden and there are some stunning views. Between the gardens and the views a visit to this garden is unmissable when visiting Eze. 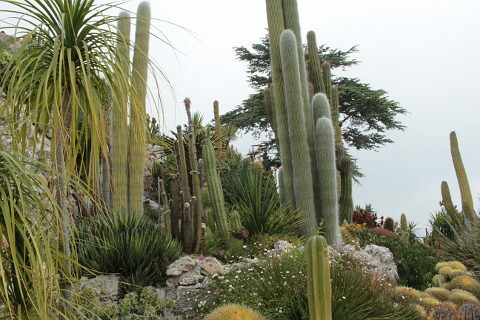 The Exotic Garden of Monaco is another great exotic garden with amazing views over the coast. 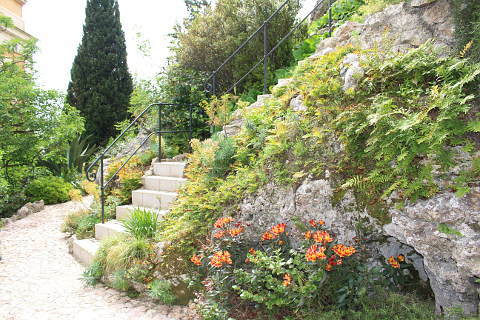 For a completely different style, visit the wonderful Villa and Gardens of the Villa Ephrussi.